Shahbaz and Hamza seem totally unfit in the current political scenario. The elections are over and debating whether they were engineered or not is unfortunately useless, as we are inevitably headed towards the oath-taking of the newly elected members of the Parliament. Pakistan Tehreek-e Insaf (PTI) will form coalition governments in the centre and in Punjab, and Pakistan Muslim League-Nawaz (PML-N) will be sitting in the opposition. PML-N has missed the chance to create history by defeating the powers that be. Shehbaz Sharif’s lacklustre electoral campaign and his inability to convince the voters with his narrative “khidmat ko vote do” (vote for those who served you) led to the demise of PML-N in Punjab. No one was expecting PML-N to win in these General Elections but had Shehbaz run an aggressive campaign based on the narrative of Nawaz Sharif and Maryam Nawaz, PML-N would have won around 80 seats instead of 64 in the National Assembly (NA). Shehbaz’s reluctance to adopt the narrative of Nawaz and Maryam left the voters confused. He failed to impress and motivate the neutral vote bank to vote for PML-N merely on the basis of his developmental projects in the province of Punjab. In fact, PML-N had already lost the General Elections and the hopes of getting 80 seats in the NA on July 13th, when Shehbaz led the rally in Lahore to welcome Nawaz and Maryam but deliberately did not go to the airport. Shehbaz probably thought that by not going to the airport, he would find a soft spot in the establishment’s eyes and he would at least be awarded a little share of the cake in the form of a win from Punjab. However, Shehbaz’s assumptions and political calculations proved wrong and PML-N only managed to emerge as the single largest party in the province of Punjab, only six seats ahead of their rival PTI. Shehbaz’s reluctance to show solidarity with his own party ticket holders when they were threatened to give up the party ticket also remains a myth. He did not even bother to go to the constituency of Qamarul Islam Raja who was arrested by the National Accountability Bureau (NAB) and his election campaign was run by his teenage son. Moreover, Shehbaz did not run a massive election campaign, holding only 30 public gatherings, while his opponent Imran Khan addressed 64 public gatherings. Neglecting Rawalpindi, Jhelum, Kasur and other parts of central and northern Punjab proved costly for the Shehbaz-led PML-N. The other factor that dented the PML-N vote bank and tilted at least 13 NA seats in favour of PTI was Tehreek-e-Labbaik Pakistan (TLP). Shehbaz never engaged TLP leaders in a dialogue to make seat adjustments or to convince them to take their candidate nominations back in favour of PML-N. It is very clear that TLP was launched to dent the PML-N vote bank and it has successfully done so. Had the Shehbaz-led PML-N tried to make some seat adjustments with them, results could have been entirely different. The tempo and the momentum set by Maryam and Nawaz before their arrest was totally lost as Shehbaz neither had the flair nor the ability to keep it going. His son Hamza Shehbaz also showed poor performance as he avoided holding huge public gatherings in the central and northern Punjab. Both Shehbaz and Hamza are not good orators and their inability to convey the composed and clear message to the neutral vote bank proved to be the major reason for the downfall of PML-N in Punjab. Nawaz’s narrative of “give respect to the vote” needed an aggressive leader and an excellent narrator hence, it would have been much better if the Sharif brothers had handed over the party presidency to either Shahid Khaqan Abbasi or Khawaja Asif. The outspoken leaders of PML-N like Pervaiz Rasheed, Mushahidullah Khan and Ayaz Sadiq were not only kept away from electoral campaigns, they were also not allowed considerable airtime on televisions screens to elaborate on the PML-N narrative. The immature and passive second-tier leadership like Musadik Malik, Miftah Ismail and others, were given the task to represent PML-N on the electronic media. They proved inefficient and lifeless during the campaigns and their lacklustre approach in the talk shows created the perception that PML-N is divided into two factions, one is with the Shehbaz narrative and the other is with the Nawaz and Maryam narrative. 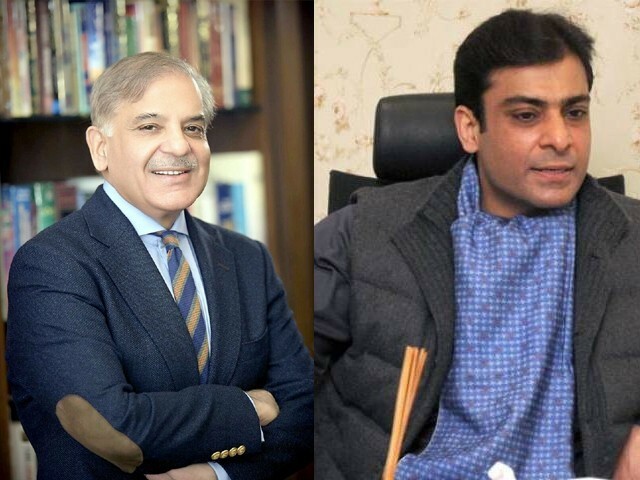 It was a deliberate move from the duo of Shehbaz and Hamza to present a soft face of PML-N and to keep Nawaz’s close aides away from the electoral campaign. 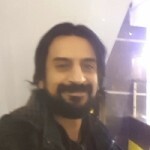 Even after the results, Shehbaz’s efforts to win support in the Punjab Assembly to form a PML-N government, in order to make Hamza the next Chief Minister of Punjab, dented the ideology of PML-N. Shehbaz approaching Pakistan Muslim League-Quaid (PML-Q) and Chaudhry Nisar to support his party in Punjab has undermined the stance of Nawaz, who categorically told his supporters that he will not seek help from the turncoats and the parties who betrayed PML-N in the past. It seems Shehbaz has lost the plot completely and is still unable to decide about the future course of action for the PML-N. Hamza, in a bid to undermine Maryam, has also fallen astray to the party’s narrative. With Shehbaz and Hamza at the helm of affairs, it seems an almost impossible task for the PML-N to gather itself again and retain its very charged vote bank in Punjab. The PML-N vote bank is not happy with the results and they think that their ballot has been rigged. There is growing frustration and anger amongst the workers and even amongst the leadership, but Shehbaz is not yet ready to address their grievances. PML-N may have lost the General Elections but the party has won considerable support from the urban and rural middle-class youth but this youth cannot remain intact if Shehbaz and his son Hamza continue to seek a deal and try to appease the powerful elite. Nawaz’s stance has a populist approach and he has shunned the path of power politics as he still pins all his hopes on the masses, while Shehbaz is still seeking a deal to somehow emerge as a substitute for Imran, and wants to remain in the good books of those who control the power chess board. PML-N’s only hope of going forward and regaining the lost fort of Punjab lies on the narrative of Nawaz and Maryam. Shehbaz and Hamza seem totally unfit in the current political scenario. If PML-N wants to survive the tough times ahead, it needs an aggressive leader who would concentrate on gaining the public’s support rather than appeasing the forces that be, just like Nawaz. It can be said without a doubt that Maryam will lead the PML-N in the future but for the time being, Shehbaz and Hamza should pave the way for someone else to steer the sinking ship of PML-N before it’s too late. The Lahori Khadim e Ala is out of a job. Should open a pan shop on The Mall. Lots of cases being prepared by NAB against the Sharif Cabal including Munna. to save his skin. Yes, open another Sharif Brothers Pan and Nihari Stop, in Riyadh. Munna Shahbaz will be joining his brother in the Sharif Quarters at Adiala Jail. About 50 cases filed against him. Ashianna scam, CDA scam, to name a few. wife behind. Abandoned her. She is crying all day. Her abbu Munna Shabaz is upset. Yusuf took a Rs.12 million kickback. He will be brought back in chains to Pakland. Hamza the ‘Arrogant’ will have a cell next his abbu Shahbaz and taya Nawaz. He will see jail for Saaf Paani scam CDA scam, Ashianna Scam. Maryam is in the woman’s section of Adiala Jail.